Any angler who has competed in: a BASS Elite Series event (excluding the Bassmaster Classic and BASS BassFest), an FLW Tour event (excluding the FLW Cup), or an MLF Bass Pro Tour event during the 12 months prior to any Fishers of Men regular season or championship event, is not eligible to compete in that FOM event. Those under 18 years of age, not fishing with a parent, must have written permission from a parent or guardian. Each competitor in each tournament, including championships, must be a current Fishers of Men member in good standing. No membership is required for a legal substitute, as described in rule 16, fishing one tournament as a sub. Fishers of Men reserves the right to reject any entries which we feel are not in the best interest of the tournament. Fishers of Men Weeknight Series directors are eligible to compete in the division in which they are the director. Entry fee for the director’s team is the same as all other teams in events with 20 boats or less. In events with more than 20 boats, the director’s team entry is free. Memberships are to be completed online or submitted to the division director prior to fishing your first tournament. Individual Membership Benefits: Eligibility to compete in any Fishers of Men Tournament. Family Membership Benefits: Eligibility for the member and any immediate family member residing in the same household to compete in any Fishers of Men Tournament. 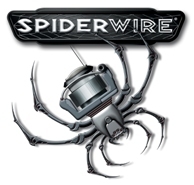 Spiderwire Weeknight Series entry fees shall be $40.00 per team per tournament, which includes Big Fish. Entry fees for divisional tournaments should be mailed to the division director, paid online (where available), or paid in person at the pretournament meeting. Entries paid within one week of to the tournament must be paid in cash. The director and his/her partner are eligible to compete, but are not required to pay an entry fee. There will be a fee charged on all checks returned for insufficient funds. Side pots are allowed in divisions in divisions where anglers wish to pay higher fees and compete for higher prize amounts. Each tournament will have a pre-tournament meeting scheduled 20 minutes prior to the tournament blast-off. Each team that has at least one of the competing members at the meeting from beginning to end will receive 50 points. Any team not present at the meeting assumes full responsibility for finding the director and getting tournament instructions prior to blast-off. 100% of paid entries will be paid back. One place will be paid out per five teams entered. In the event of a tie, prize money will be evenly split. The big bass pot ($5 per entry up to maximum of $250) will be paid to the team with the biggest bass of the tournament. In the event of a tie for big bass, the prize money will be evenly split. Prize money will be awarded following the weigh in at each divisional tournament. Winners are responsible for any and all taxes on any moneys or prizes won. In Fishers of Men Spiderwire Weeknight Series Tournaments, the tournament waters will be off limits only during the time of the pre-tournament meeting. Tournament hours will be set by the division director. We reserve the right to assign flights and adjust hours if necessary. Starting positions will be assigned in the order the entries are received. Coast Guard approved personal floatation devices and kill switches must be used any time the gas motor is propelling the boat. Running lights must be operational and turned on any time they’re required by law and/or any time tournament hours extend between ½ hour past legal sunset and ½ hour before legal sunrise. Each competitor‘s boat must be equipped with a livewell system capable of keeping a tournament limit of bass alive. Each contestant is expected to follow high standards of sportsmanship, courtesy, and conservation. No team may fish within 50 yards of any other boat which is anchored with the trolling motor up. Furthermore, no team may fish within 25 yards of any other boat without the other boater’s permission. Permission may not be granted to any team at the exclusion of any other team. No hole sitting by a non-competitor or by another competitor, to aid a tournament participant will be allowed. Violators will have their catch disqualified. Only artificial baits may be used. No live or cut bait is permitted (pork baits are permitted). All bass must be caught alive in a legal and sporting manner. No snagging. Each competitor may only use 1 rod at a time. No more than 1 line in the water at a time per angler. Trolling with the combustion motor is not permitted. No competitor may leave the boat to land or catch fish. The tournament creel limit will be set by the director but at no time will be more than 5 fish per team. Only largemouth, smallmouth, spotted bass may be weighed in. Minimum lengths will be set at the discretion of the division director but at no time will be less than the legal limit. Lengths will be measured with mouth closed. A short fish or slot fish brought to the scales will not be weighed, and will result in a 1 pound penalty. Dead fish will be penalized .25 (1/4) pound. The dead fish penalty will also apply to any fish weighed as a Big Fish if that fish is dead. All culling must be done before coming to the weigh-in. The penalty for possessing more than 5 fish, bringing more than 5 fish to the scales, or culling at the ramp will be 1 pound. That 1 pound will be deducted from the total weight of the team’s best limit of fish. On any water where State or local laws prohibit culling or impose creel limits, the state or local laws will supersede these rules. Competitors shall remain with their partners in the boat at all times during the tournament, except in the event of sickness or brief excursions for "nature calling", severe storm or other such hazard. It is permitted for a competitor to leave the boat for marina services. During competition, competitors may leave the boat to dislodge it, but only to return the boat in the direction it came from. Leaving the boat, on a competition day, to advance it is not permitted. (In falling water conditions, a team may leave the boat to advance it only to return from water they accessed without leaving the boat.) If for any reason either or both team members decide to leave the tournament waters early, both members shall bear full responsibility for notifying a tournament official. If one team member leaves the water early, he/she must notify the director before returning to fish and the other team member may continue fishing in his/her absence. In the event that he/she does not intend to return, his/her partner may continue fishing alone for the remainder of the tournament hours. In case of a breakdown, one partner may return with fish by another tournament boat or a boat designated by FOM tournament staff while the other partner is permitted to stay with the disabled boat. Weigh-in will be on a first come first serve basis. Teams not weighing any fish are still required to check in with tournament officials in order to account for all teams. Once a team member has checked in or left the boat for the purpose of checking in, neither team member may fish or continue fishing. Competitors who are not checked in by the check in deadline will be penalized at a rate of 1 pound per minute, up to 15 minutes at which time their catch will be disqualified. Late penalties will be deducted from "Big Fish" weight as well as total weight. A participant may fish solo in as many tournaments as becomes necessary and retain all points. Anyone who holds a current FOM Membership may serve as a legal substitute at any time and the team will retain all points. o The substitute may purchase a membership at any time prior to competing. If the membership is paid the day of the competition, it must either be paid online or paid to the director in cash. A substitute may not fish alone. One of the team members must always be one of the original partners. At least one of the original team members must compete in the tournament for the team to receive tournament points. Any protest must be submitted in writing to the tournament director within 15 minutes of the close of the weigh-in. The Fishers of Men National Tournament Trail reserves the right to give a polygraph or other truth verification test to any participant at any time. This test does not have to be administered on site and may be set up by the tournament director at his discretion. All participants agree to abide by the results of any polygraph or other truth verification test administered. In the event of a protest and an off-site polygraph or other truth verification test the tournament director will have the option of mailing all the checks to the teams in the money pending the outcome of the test. In divisions that have a minimum of 5 tournaments, the team having the highest cumulative point total in each division will be declared the Division Points Champions for that division. In the event a division has less than 5 tournaments, there will be no point’s champions for that division. All ties in the cumulative year end standings will be broken by season cumulative net weight. The winning team in each divisional tournament will receive 150 points, 2nd place 149 points, and 3rd place 148 points and so on. In the event of a tie in a tournament both teams will receive the points for the place they are tied at, and the subsequent place will remain vacant. Teams not weighing any fish will receive 1 less point than the last place team(s) with fish. In addition, all teams who attend the pre-tournament meeting (whether entered in the tournament or not) will receive an additional 50 points, which will be applied to the teams cumulative point total for the year. At least one team member must be in attendance from the beginning to the end of the meeting. Points will run through all tournaments within that division and may not be transferred to or from any other division. All Fishers of Men Spiderwire Weeknight Series division directors from each division that has a minimum of 5 tournaments are automatically eligible to enter in any District Championship Tournament. The director and his/her partner will only be eligible for the District Championship in their own district if they can provide a volunteer staff person to work at the championship in their place. A director’s tournament partner for the District Championship Tournament must be the partner he/she fished the season with, or an angler who qualifies as a legal substitute or is approved by the National Office prior to entry. The violation of a tournament rule by either team member may result in weight loss, the loss of weight up to a particular time in the tournament day (eligible for a restart), loss of weight for the entire day, disqualification for the entire tournament or, in an extreme circumstance, ineligibility to participate in future FOM events. If a team is disqualified from a tournament their weight will be recorded as 0 lb. However they will still receive tournament points as if they had just caught no fish. If the director feels that their violation was a willful attempt to gain an unfair advantage or to intentionally cheat, then the director has the right to refuse entry from that team or team members in the future and may inform all other Fishers of Men directors of the situation. It is the tournament director’s job to enforce all of these rules as they are written. Infractions of any rule may result in a penalty or disqualification of catch.